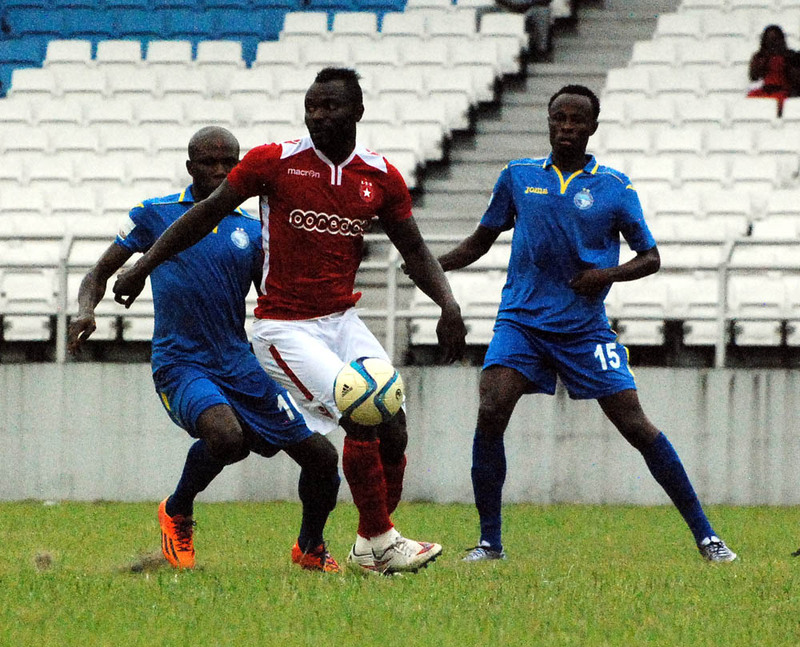 Guest Post: Enyimba’s unseen advantage 2. Yesterday we began this post and here Mr Dairo completes it. Find below. The first leg ended 3-0 in favour of Enyimba though in fairness, it could’ve been more. I watched Enyimba at least ten times en route to their league triumph last season and I had also done so twice this season before Sunday’s game (vs Plateau United in Umuahia and vs Rangers in Enugu) and I can confidently assert that I had not seen Enyimba play with such pitiless swagger they exhibited against the Tunisians at the Adokiye Amiesimaka Stadium. They were all over their opponents and even if they got away with some 50-50 decisions, they were full value for everything they got. The Elephants’ predatory display which was hallmarked by Mfon Udoh’s hattrick heroics brought about the ugly side of the Tunisian giants. Etoile’s players and officials did little to cover themselves in glory right in the face of an ignominious defeat as their antiphon to every decision by the Togolese referee was vehement protestations including field encroachments by those on their technical bench at will. It was not surprising to the hundreds of spectators at the arena that one of Etoile’s technical staff was sent off and neither were they amazed that at least six of their players found their way into the referee’s bad record with their star man, Ahmed Akaichi receiving the marching orders. It was in Akaichi’s dismissal that the core of the unseen advantage lie in as two other important pieces of Etoile’s puzzle will join the striker in sitting out the second leg on Wednesday. For a team that had four of its players booked in their last home match, it was envisaged that they would fail yet again on disciplinary grounds if they meat a formidable opponent. They did. Etoile’s Cameroonian midfield enforcer Franck Kom who was very fortunate not to receive a second booking in second half stoppage time will miss the return leg in Tunisia as also his fellow midfielder Alaiya Brigui who was also carrying a booking before Sunday’s defeat. While the Tunisians remain a very formidable side, their resolve to avoiding an unwanted defense of the Confederation Cup crown will be severely tested by the absence of these key trio and with the Nigerian Champions having the rich history of emerging victorious over two legs whenever these two teams face, it seems a repeat is on the horizon. The match has been fixed for 7pm local time when it is expected to be cold – weather forecast at that time is 18 degrees Celsius. Additionally, Enyimba are yet to play a game under floodlights since the season started but this is when they tap into the visionary provision of the League Management Company (LMC) who ensured that all games in the Uyo leg of NPFL Super Four back in the first week of February were played under floodlights. It is certainly not over until the last ball is kicked but Enyimba Football Club of Nigeria have made their task of becoming Nigeria’s first CAF Champions League group stage campaigner in four years a little easier. There you have it. Like the writer admonished, the tie is not over but we have one leg into the next round. The onus lies on the players and the crew to ensure delivery into the next round of the competition. The lads are still in Lagos, we saw a couple of them on TV last night as MFM hosted Wikki Tourists. Not sure when they jet out but I’m sure they will keep readying themselves. Just in case you are unaware, the team play on Wednesday night and this weekends supposed clash with Abia Warriors is postponed for now. That’s all for this morning. Enjoy your Saturday and remember you can catch Shooting Stars vs Heartland on DSTV this evening at 4. Remember you can follow Mr Dairo of Fisco Stats on Twitter. @FisayoDairo, you will be glad you did. Next postA nice little something for you.